'S e bliadhna-leum a bha ann an 1940 (MCMXL). 29 an Gearran - Bhuannaich an cleasaiche Hattie McDaniel Duais Acadamaidh (Oscar), a' chiad Aimearaganach dubh a fhuair e.
10 an Cèitean - Leig Neville Chamberlain leis an dreuchd Prìomh Mhinistear an Rìoghachd Aonaichte, thòisich Winston Churchill. 4 am Faoilleach - Gao Xingjian, ann an Ganzhou. Sgrìobhadair às An t-Siona. 9 an Gearran - J. M. Coetzee, ann an Cape Town. Sgrìobhadair à Afraga a Deas. 21 am Màrt - Solomon Burke, ann am Philadelphia (Pennsylvania). Seinneadair às na Stàitean Aonaichte. 13 an Giblean - J. M. G. Le Clézio, ann an Nice. Sgrìobhadair às An Fhraing. 25 an Giblean - Al Pacino, ann an Eabhraig Nuadh. Actair às na Stàitean Aonaichte. 24 an Cèitean - Joseph Brodsky, ann an Leningrad. Sgrìobhadair às An Ruis. 7 an t-Iuchar - Ringo Starr ann an Liverpool, ceòladair Sasainneach. 16 an t-Iuchar - Eddie MacThòmais, cathraiche club ball-coise Albannach, Dùn Dèagh Aonaichte. 4 an Lùnasdal - Roban Harper, ann an Inbhir Theòrsa. Neach-poileataigs à Alba. 22 an Lùnasdal - Thomas A. Steitz, ann am Milwaukee. Bith-eòlaiche às na Stàitean Aonaichte. 30 an t-Sultain - Johann Deisenhofer, ann an Zusamaltheim. Ceimigear às A' Ghearmailt. 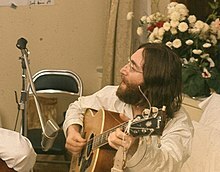 9 an Dàmhair - John Lennon, ann am Poll a' Ghruthain. Ceòladair à Sasainn. 28 an Dàmhair - Julius Eastman, ann an Ithaca. Neach-ciùil às Na Stàitean Aonaichte. 20 an t-Samhain - Arieh Warshel, ceimigear à Iosrael agus na Stàitean Aonaichte. 26 an t-Samhain - Edward C. Prescott, ann an Glean Falls Eabhraig Nuadh. Eaconamaiche às na Stàitean Aonaichte. 21 an Dùbhlachd - Frank Zappa, ann am Baltimore (Maryland). Ceòladair às na Stàitean Aonaichte. 16 am Màrt - Selma Lagerlöf, ann an Sunne. Sgrìobhadair às An t-Suain. 20 an Cèitean - Carl Gustaf Verner von Heidenstam, ann am Motala. Sgrìobhadair às An t-Suain. 17 an t-Ògmhios - Carl Bosch, ann an Heidelberg. Ceimigear às A’ Ghearmailt. 17 an t-Ògmhios - Arthur Harden, ann am Bourne End. Ceimigear à Sasainn. 30 an Lùnastal - J. J. Thomson, ann an Cambridge, eòlaiche-fiosaig. 15 an Dàmhair - Lluís Companys i Jover, ann am Barcelona. Neach-poileataigs à Catalòinia. 3 an t-Samhain - Manuel Azaña Díaz, ann am Montauban. Neach-poileataigs às An Spàinn. 9 an t-Samhain - Neville Chamberlain, ann an Heckfield. Neach-poileataigs à Sasainn. 19 an Dùbhlachd - Tomás Carrasquilla, ann am Medellín. Sgrìobhadair à Coloimbia. Air a tharraing à "https://gd.wikipedia.org/w/index.php?title=1940&oldid=529590"
Chaidh an duilleag seo a dheasachadh 8 dhen Ghiblean 2017 aig 17:12 turas mu dheireadh.